Will More Anime Get A 2nd Chance? Ever since the announcement of a new Fruits Basket series I decided to explore the possibility of this happening to other series. There are so many other series that deserve a 2nd chance so check out the video to find out which series I named. Also comment down below series you would like to see get a 2nd chance. Remember I come out with new videos every Monday, Wednesday, & Saturday. Also be sure to subscribe if you haven’t already and you’re enjoying my content. Plus click the bell icon to turn on post notifications so that you’re notified when a new video is released. What Anime Is A Must See For Anime Fans? So I recently saw a BuzzFeed article pretty much asking the question of what animes are must see for anime fans. Well after reading that question it got me thinking about what animes are on my list of must sees. 1. 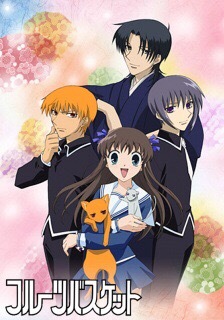 Fruits Basket – After the accident in which she lost her mother, 16-year-old Tohru moves in with her grandfather, but due to his home being renovated, is unable to continue living with him. 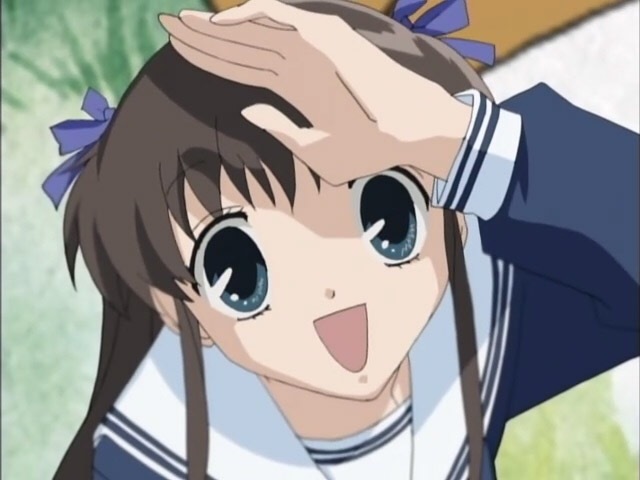 Claiming she will find someone to stay with but also fearing the criticism of her family and not wanting to burden any of her friends, Tohru resorts to secretly living on her own in a tent in the woods. Alchemy is bound by this Law of Equivalent Exchange—something the young brothers Edward and Alphonse Elric only realize after attempting human transmutation: the one forbidden act of alchemy. They pay a terrible price for their transgression—Edward loses his left leg, Alphonse his physical body. It is only by the desperate sacrifice of Edward’s right arm that he is able to affix Alphonse’s soul to a suit of armor. Devastated and alone, it is the hope that they would both eventually return to their original bodies that gives Edward the inspiration to obtain metal limbs called “automail” and become a state alchemist, the Fullmetal Alchemist. Three years of searching later, the brothers seek the Philosopher’s Stone, a mythical relic that allows an alchemist to overcome the Law of Equivalent Exchange. 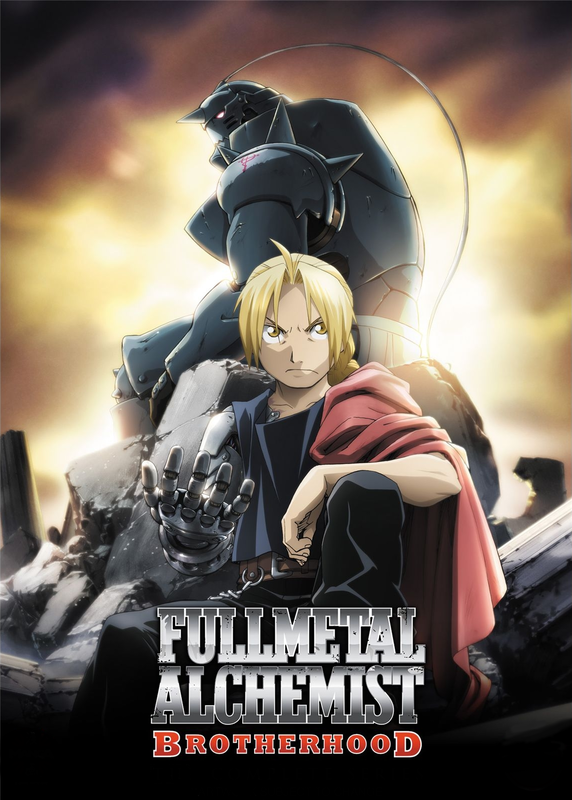 Even with military allies Colonel Roy Mustang, Lieutenant Riza Hawkeye, and Lieutenant Colonel Maes Hughes on their side, the brothers find themselves caught up in a nationwide conspiracy that leads them not only to the true nature of the elusive Philosopher’s Stone, but their country’s murky history as well. In between finding a serial killer and racing against time, Edward and Alphonse must ask themselves if what they are doing will make them human again… or take away their humanity. 3. Ouran High School Host Club – Haruhi Fujioka is a bright scholarship candidate with no rank or title to speak of—a rare species at Ouran High School, an elite academy for students of high pedigree. 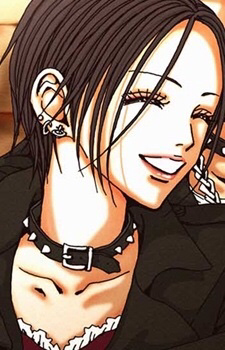 When she opens the door to Music Room #3 hoping to find a quiet place to study, Haruhi unexpectedly stumbles upon the Host Club. 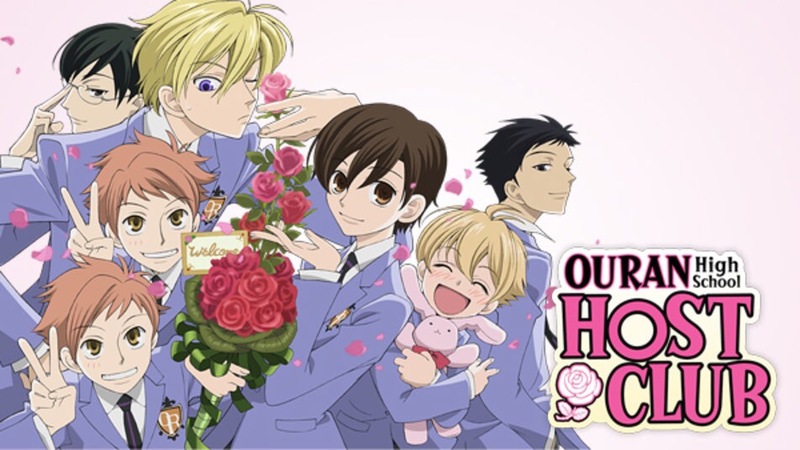 Led by the princely Tamaki, the club—whose other members include the “Shadow King” Kyouya, the mischievous Hitachiin twins, and the childlike Haninozuka “Honey” and his strong protector Mori—is where handsome boys with too much time on their hands entertain the girls in the academy. 4. 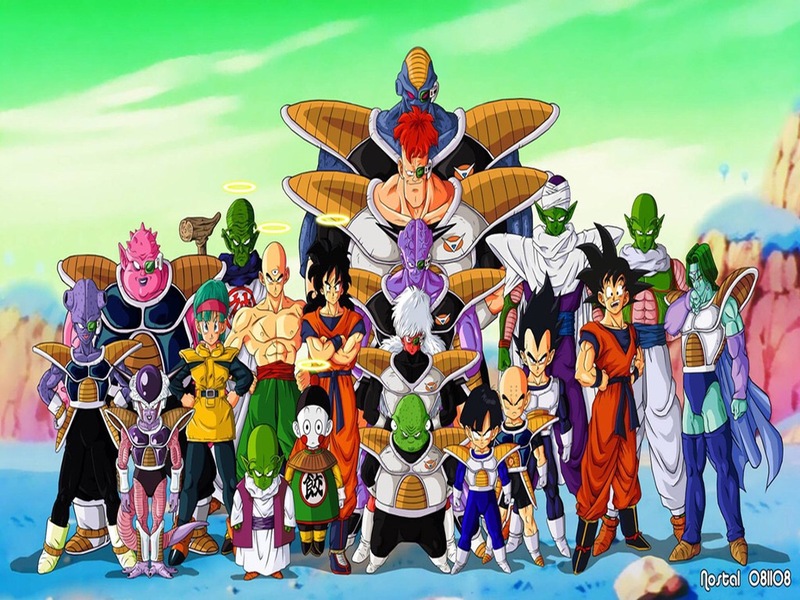 Dragon Ball Z – Five years after winning the World Martial Arts tournament, Gokuu is now living a peaceful life with his wife and son. This changes, however, with the arrival of a mysterious enemy named Raditz who presents himself as Gokuu’s long-lost brother. He reveals that Gokuu is a warrior from the once powerful but now virtually extinct Saiyan race, whose homeworld was completely annihilated. When he was sent to Earth as a baby, Gokuu’s sole purpose was to conquer and destroy the planet; but after suffering amnesia from a head injury, his violent and savage nature changed, and instead was raised as a kind and well-mannered boy, now fighting to protect others. With his failed attempt at forcibly recruiting Gokuu as an ally, Raditz warns Gokuu’s friends of a new threat that’s rapidly approaching Earth—one that could plunge Earth into an intergalactic conflict and cause the heavens themselves to shake. A war will be fought over the seven mystical dragon balls, and only the strongest will survive in Dragon Ball Z. 5. 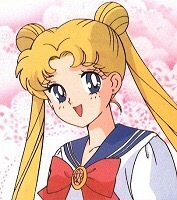 Sailor Moon Seasons 1-5 – Tsukino Usagi is a 14-year-old girl in junior high. She’s ditzy, whiny, and a crybaby. She often flunks her tests, and she is always scolded by her family. However after a bad day, Usagi is surprised to encounter a black cat that can talk! The cat, Luna, grants Usagi the power to transform into Sailor Moon, a fighter who is to save the world against the Dark Kingdom and its evil ruler, Queen Beryl. So those are the 5 anime that I think every anime should watch. Also yes I could have added a lot more and it was hard just to narrow down to 5. So I went with mostly nostalgic animes because many of them helped me get into anime and several of these animes left an impression on me. So what animes would you put on your list? Comment down below and let me know. Also be sure to check out my YouTube channel at Shay’s YouTube where I post new videos every Monday, Wednesday, and Saturday! Enjoy and of course subscribe!